Its impossible to reason out with any child over three years. They have their simple logic and suddenly their intelligence has shot up.. Things that all mom’s have to deal with every minute of their lives. After lots of answers and counter questions.. In this process I feel two hair on my head turned grey. Everyday its like a moment of suspense, will he eat or just drink his favorite milk instead. So everyday I try to cook something that interests him, boy that is a challenge. And there is always a 50% success rate, so thats not too bad.. If he says yes, I make it.. 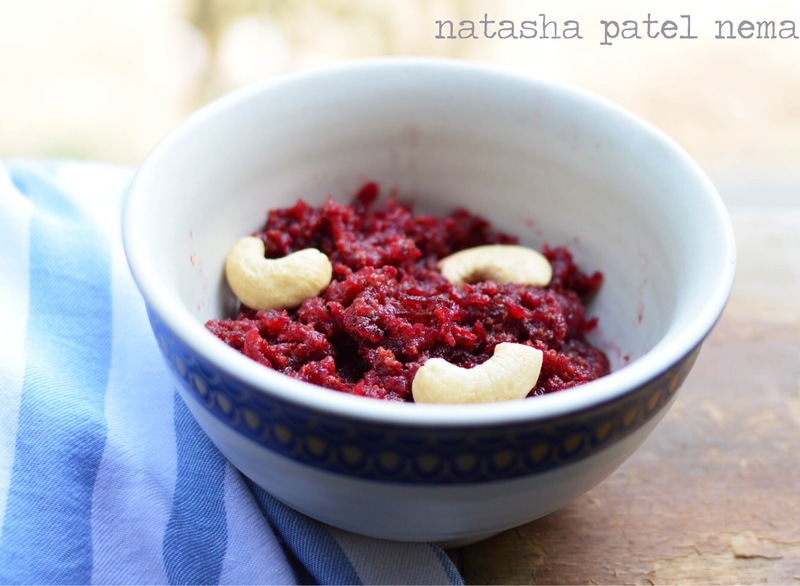 The other day we were watching the TV show Turban Tadka and chef was cooking a beet apple halwa. I liked it , I changed the process and made on my own and it was really good. My son hardly ate it, all of us feasted on it. 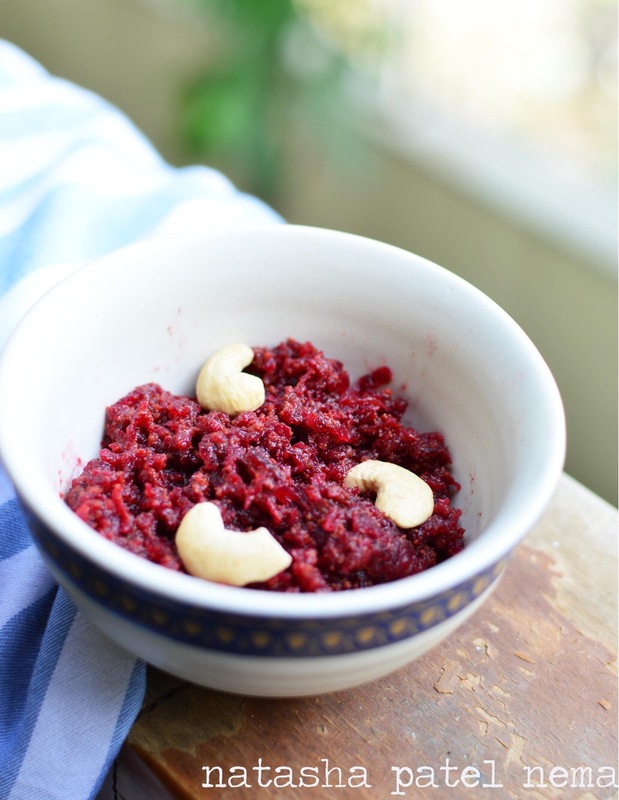 Its a very healthy recipe try it, may be your child might eat it..
As I update this recipe my admant very choosy little one did not eat dinner cried for milk finally drank milk and is fast asleep.. another day done and dusted.. I guess my son is the Curious Case of Benjamin Button. So next two days I have challeged him only to drink milk.. I too declared, “fine no roti, no rice.” His face lighted up.. So well lets see how this two day experiment goes.. does it have an agreeing results for me.. well will have to wait patiently without reacting. Heat the ghee in non stick kadhai. Add the beet and cook for 2-3 minutes. Add the milk and let it simmer till all the milk evaporates, (this might take good 30 minutes). Half way in this process addthe grated apples. Once almost all the milk has evaporated. Add the jaggery and mava. Keep on stirring. Taste the balance of flovour and serve.